Are you truly passionate about your work as event planner? Then become an 'eventplanner.pro' member now! 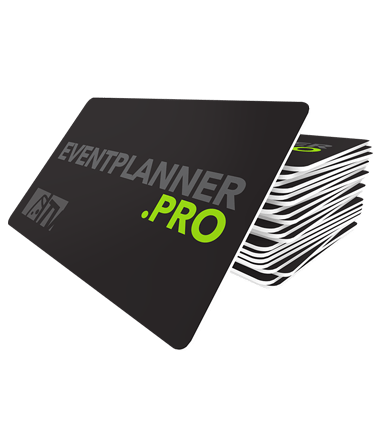 The eventplanner.pro-card has been created exclusively for the real event professionals who want to get the most out of their job and the event industry. As soon as you're a member of the eventplanner.pro-card, you enjoy lots of privileges. Being an eventplanner.PRO, you have access to exclusive content. Certain articles with legal, informative event knowledge, etc. are only accessible to our .PRO members. As a real pro you want quick access to all event suppliers and venues on eventplanner.net. Our database contains more than 6,000 event companies, but only with our paying advertisers we mention the digital contact information (website, social media and e-mail form - not for marketing purposes). If you surf as a pro-member on our site, you will also see this contact information for all other companies. You can even download the permits that event vanues and companies have uploaded on our site. .PRO is a tool that should be part of the standard equipment of every event professional! If you have a question about market practices, permits, contract templates, letter templates, ... then our editors are here to help you as a pro out. They will investigate your question for you and, aided by independent experts, will write an article about it as soon as possible, that helps you and other pro-members on your way. Is your question very specific for your company situation and not relevant for all our members, you can get help from the expert center. If you have a complex question or a very specific one, then you as an eventplanner.pro member can request assistance and advice from the best experts, lawyers and consultants in the field of communication, marketing (as well as search engine optimization (SEO & SEA)), law, HR, company policy, etc. All of this for unrivalled advantageous prices. 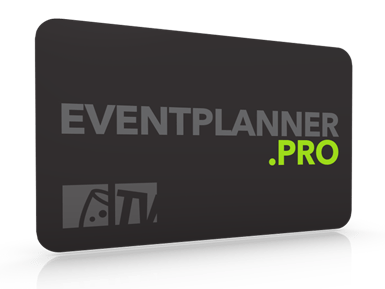 Using the eventplanner.pro network, we connect you to the right expert as soon as we can. He or she will solve the most complicated problems for you. If you become an eventplanner.pro, you will receive THE bible for every organizer: EVENTS². The hundreds of tips and checklists will help you organize an event successfully, without overlooking even a single detail. Being a pro-member, you can post job vacancies on eventplanner.net for free. That way, you can quickly find a suitable employee for your event company or event. Being an eventplanner.pro-card owner, you enjoy all sorts of exclusive discounts and privileges. Moreover, you will also receive a 10% discount on all eventplanner.net advertising fees. As you may know, the tickets for our free 'Get Inspired' network events are very popular. All the previous editions were consistently fully booked. With the pro-card, you avoid missing out on tickets. After all, being an eventplanner.pro-member, you get the first priority to register for our events.